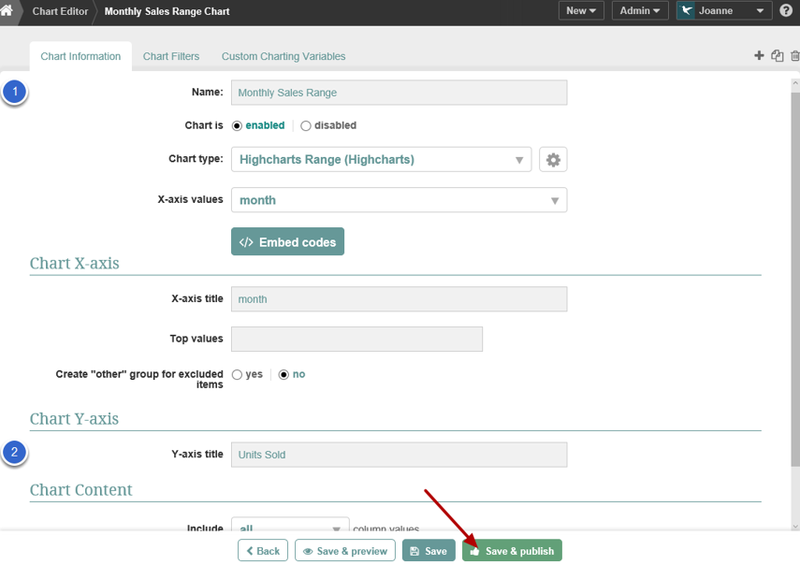 This article provides a step by step example of creating a Highcharts Range chart. 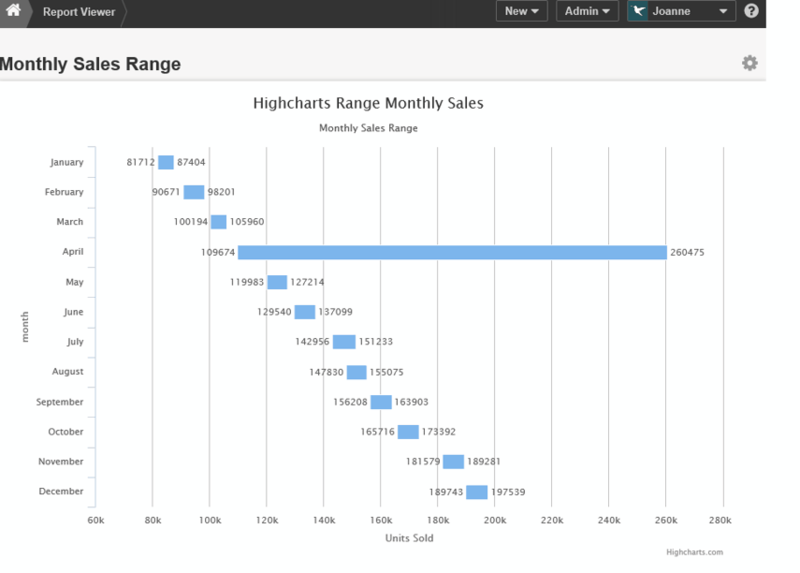 Note: The format of the Report & Chart Editors is slightly different in Version 3. Choose a report that contains a range of values for each category of data. Category data could be time values that are discrete values. In this example, the month column contains the category data and the max and min number of units sold are the range. Also, limit the data to just these columns. If you have a report with more than these columns, you can add a Pivot to limit the data. Click the "+ Chart" button.